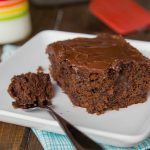 Flourless Chocolate Cake – A chocolate lover’s dream A rich, dense, chocolate-y and decadent chocolate flourless cake. 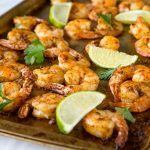 Naturally gluten free and just 3 ingredients! I am a chocoholic to the core. I grew up loving all things chocolate, and that has not changed as I have gotten older. Homemade Brownies have been a staple my entire life. There is just something about gooey melty chocolate when you bake perfect chocolate chip cookies, and sample them right when they come out of the oven. You just can’t go wrong. 16 years ago I was introduced to flourless chocolate cake on a cruise. I almost didn’t order it, because I had no idea what “flourless” would be like. I mean cake it light and fluffy, because of the flour. Well, it was a darn good thing I tried it. I immediately became obsessed and had to find anyway I could to get more slices on the cruise. 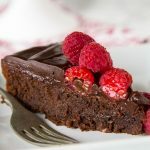 What is flourless cake made of? 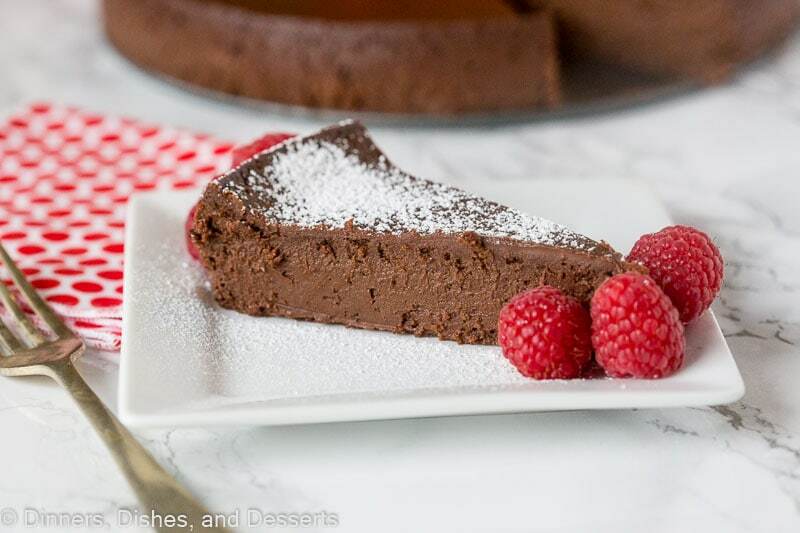 Chocolate flourless cake is such an easy recipe. 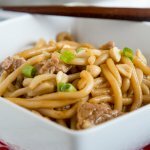 This recipe has just 3 simple ingredients! Eggs, good quality chocolate, and butter. Doesn’t get much easier than that. 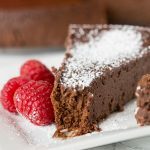 How do you make flourless chocolate cake? With just 3 ingredients, it doesn’t get much easier to make this chocolate cake. Whisking the eggs into a foam is key. This is what gives the cake the dense texture. Gently fold in the egg foam into the melted chocolate and butter. Then you bake in a spring form pan. This cake is best served chilled, so you want to cool completely, and then store in the fridge until ready to serve. Yes – there are just 3 ingredients. Butter, flour, and chocolate. All of which are gluten free. So this is a naturally gluten free cake you can serve to anyone with gluten allergies and know they are safe. 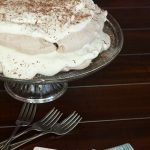 Serve this cake dusted with powdered sugar or with a dollop whipped cream. A couple berries on the side make for great presentation. 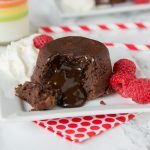 Flourless Chocolate Cake - A chocolate lover's dream A rich, dense, chocolate-y and decadent chocolate flourless cake. 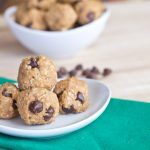 Naturally gluten free and just 3 ingredients! Preheat oven to 325 degrees. Have a rack set in the lower-middle position. Grease an 8-inch spring form pan. Wrap the outside with 2 layers of foil. Set in a large roasting pan. Bring a pot of water to boil. Pour into spring form pan. Set the roasting pan on the oven rack, and pour enough boiling water to come about halfway up the sides of the pan. Bake 22 to 25 minutes, or until cake has risen slightly and the edges are just beginning to set, a thin glazed crust with form on the surface (and instant read thermometer will read 140 degrees). Remove pan from water bath and set on a wire rack to cool completely. Cover and refrigerate overnight. 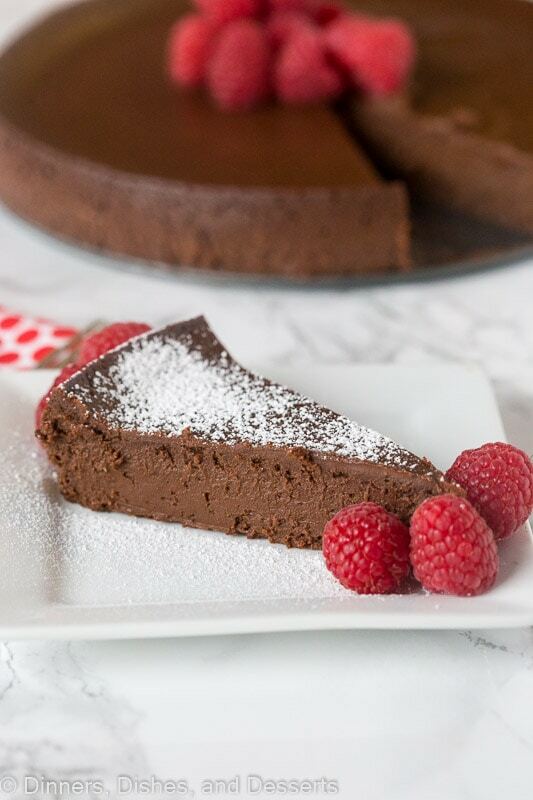 3 ingredients for a rich and delicious chocolate torte? Ummm…yes please! HAHAHA my oh my, what restraint you have in cutting such a small slice!!!! LOL. It looks so dense and delicious…yum! Oh boy, oh boy. I adore flourless chocolate cakes, they are just beyond amazing. This one looks fantastic! I’d probably polish the whole thing off. Sigh. Oh yum! That looks heavenly! Happy belated bday! Isn’t crazy that 3 ingredients can yield such deliciousness? I don’t think I have seen a flourless cake recipe with only 3 but they are all pretty simple. This one looks extremely rich. I would love a slice! There was an optional coffee ingredient, but I can’t stand coffee so I left that out. I had a flourless chocolate cake last year, it was made with dark chocolate. Although I am more of a milk chocolate kinda girl, it was pretty good. Rich and delicious for sure! I am more of a milk chocolate girl too! 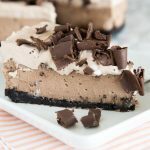 I use semi-sweet chocolate in this, and it helps sweeten it up a little! This is similar to a recipe I used at Thanksgiving so I know what you mean about rich. Yes, a tiny sliver is plenty! It so good, though–very fitting for a special occasion, like your birthday. Hope it was a great one! Oh my! Pure decadence! Looks fabulous! 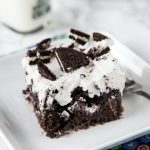 This looks sooooo deliciously decadent, Erin! 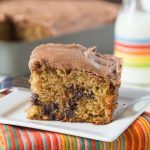 I have had flourless cake just twice and absolutely loved it. A cake that has only three ingredients and comes out looking like this is definitely something that CANNOT go un-noticed! This is fab!!
! pound of chocolate! oh my goodness, I’d love a big slice of this rich chocolaty cake! I love the simplicity of this cake–you’ve presented it beautifully with the raspberries. OMG! I can’t wait to try this! I knew flourless cakes exsisted, but didn’t know they could be so easy to make! happy belated birthday and thank you for sharing the recipe! What a great way to celebrate a birthday! That cake looks perfect. I can see why you would have to eat it in small doses, but how great that you would get many helpings of that delectable dessert over the course of days instead of just one big slice once! Happy belated birthday! This cake looks amazing. I’ve never met a flourless chocolate cake I didn’t love! Happy Birthday! A sliver will do – it’s delightfully decadent! Would you believe, I’ve never made one before? I’ve always wanted to! I love flour less cakes and yours look so dense from inside. Great job! This looks divine. It sounds like a big delicious slice of chocolate ganache. YUM! Happy birthday! Happy Birthday Erin! Your cake looks so yummy! I love flourless chocolate cake. I have never made it myself, but it is definitely on my “to make” list. Oh man, Erin! I love flourless chocolate cakes. Yours looks soooo good (and dangerous!)! Happy Birthday Erin! Hope you had a great one. This cake looks wicked good. Unbelievable! 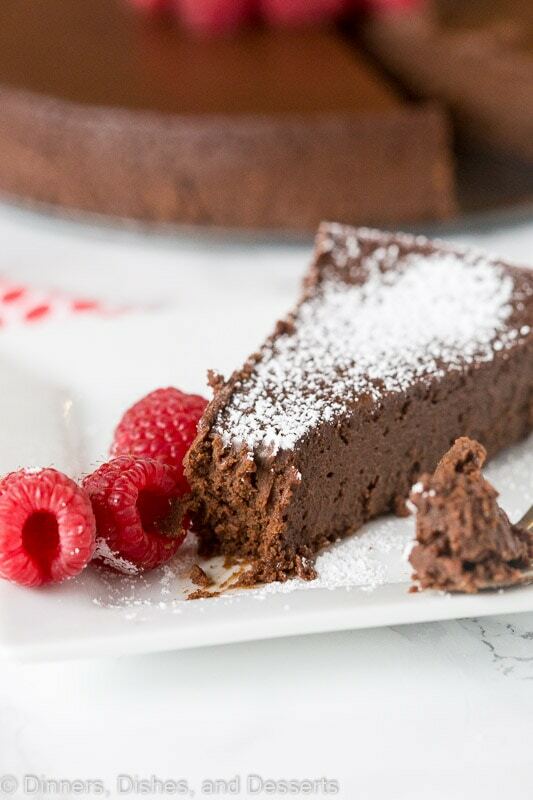 Just 3 ingredients to make this beautiful chocolate cake…. Amazing. It looks so delish. 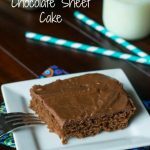 I’ve made tons of flourless chocolate cakes, but not this recipe! Will have to add it to my baking list…it looks fabulous!!! Congrats on the Top 9! Wow, looks exceptionally moist & so very delicious! Fab work. Love Cooks Illustrated…they never fail to come up with the best version of any recipe! 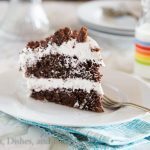 Love this simple cake…rich and full of chocolate! P.S. Happy belated birthday to you!! This looks SO good – would love a slice now! Naturally my mouth water by looking at this post. Love chocolate and this rich chocolate cake is driving me crazy. I made new year resolution to live healthier life so I need to just hold on to my cravings until I got A LOT skinnier…(don’t know how long it takes! Argh!). 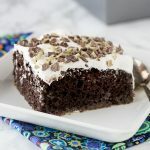 I’m passing this recipe to a friend of mine who’s also crazy about chocolate cake (hope she will share a bite with me!). Thanks! 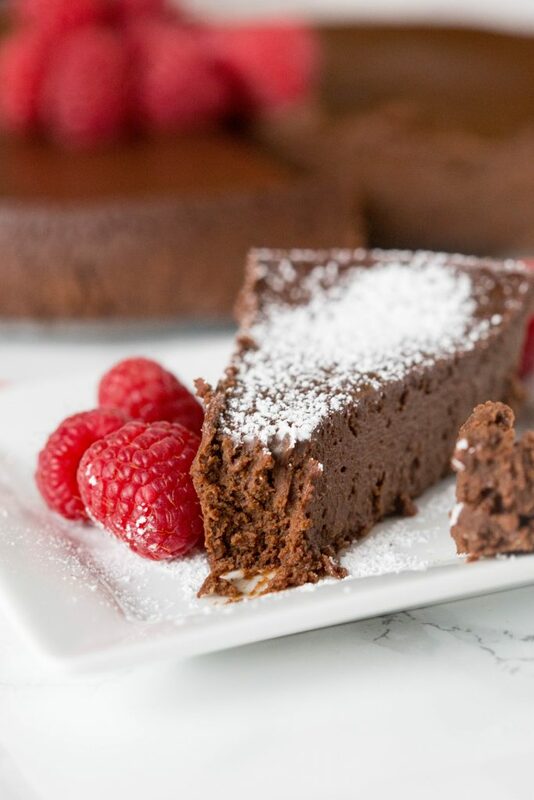 I’m falling in love all over again with your flourless chocolate cake! Great density and I’m going fudgy at the knees. Many happy chocolatey returns! Oh this looks amazing! Happy belated birthday! This cake is so moist! Incredible! So chocolatey and perfect! YUM! Oh. My!! 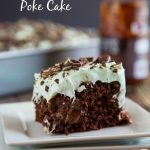 I can’t believe there are only 3 ingredients in this lovely, lovely cake. It looks amazing. My name is Patricia and I’m a chocoholic, too! I bet this disappears so fast! Who doesn’t like chocolate cake? This cake looks like pure indulgence! Silky, creamy and delicious! 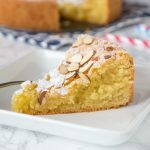 I have never tried flourless cake! I can’t wait to see what it’s like! I’ve been wanting to make this since we had it for dessert at a local restaurant last year. I had no idea it’s so easy to make! Wow! What a decadent treat! Count me in! This looks delicious! I can’t wait to give this a try! Looks SO delish! That cake looks delicious! Happy Passover to everyone!